Hawaii is known as the "melting pot"
with diverse cultures, people of every ethnic background and many lifestyles uncommon to most places. As the Big Island grows newcomers are attracted to our beautiful weather, open landscapes, and diverse shopping. People are friendly living in the true Spirit of Aloha. The Big Island offers many opportunities to experience the Hawaiian culture and traditions that make us unique. From snow capped mountains to fertile soil, tropical rainforests to the sunny beach in your backyard, the Big Island has it all. 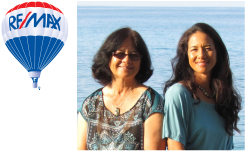 Real Estate opportunities are vast for investors and for those who call Hawaii Home.